With backyard breeding and lack of awareness about it among pet parents, older dogs do not find a stable home. With backyard breeding and lack of awareness about it among pet parents, older dogs do not find a stable home. 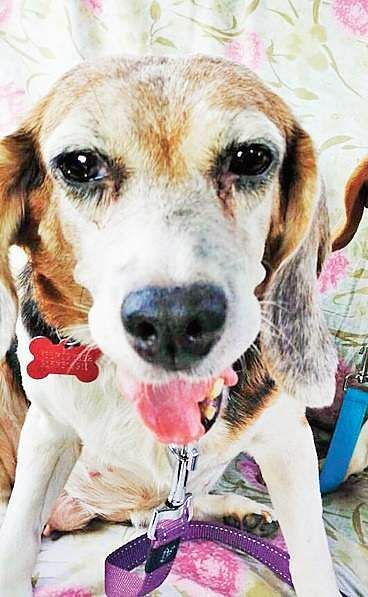 With help from canine behaviourists and rescue volunteers, City Express tries to understand the general apathy towards adopting senior canines. CHENNAI: With the hot May winds approaching, Blue Cross was frantically distributing water bowls while activists and volunteers left no stone unturned to set up shadow spots for strays to find some respite from the heat. A volunteer sat down one evening, phone in hand for the customary social media indulgence. Her eyes soon fell on a heartfelt plea from Jennifer Jacob Murali-Anand. Six beautiful old mongrels needed a foster home for a few days as Jennifer, a rescue and foster volunteer, was stretched beyond her capacity. As she scrolled down, she was alarmed at finding not one but five cases of abandoned pedigrees, roaming around lost and confused along the Race Course Road or Besant Nagar. Some were found tied to a pole near the seaside. There were two Labradors, a Saint Bernard, a German Shepherd and a pug; one had a broken leg, another a maggot-infested ear, yet another a coat destroyed by skin infections — and they had but one common trait — they were old dogs. Aishwariya Kathiravan, a volunteer at the Blue Cross, tells us about Oreo, an 8-year-old Cocker Spaniel, her mother picked up on the way back from gym one day. “He had cataract in one eye, tick infestation and wasn’t eating for some reason. We brought him home, got the vet to check him the same day, and found that he had a bad liver, possibly abandoned because the treatment was difficult and expensive,” the 23-year-old recollects. While the family tried its best to treat the little one, he didn’t make it. Aruna Mohandas from the Madras Race Course found herself in a similar situation when her daughter brought in an injured five-year-old male Labrador. “He came to us malnourished and sombre with a deep wound on his left ear and a terribly itchy coat, soaked in blood and dirt, possibly from a fight,” she says. Two months later, the big boy, now named Bryan, is all patched up and healthy but he has epilepsy. “Labradors are genetically predisposed to this condition, something we didn’t know until we took him in either. Maybe this is why he was sent away. We are finding it hard to find him another home because of the same thing,” Aruna adds. 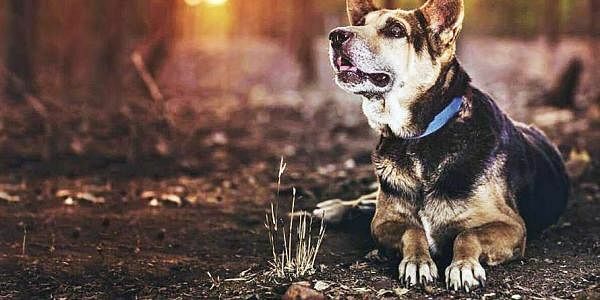 Having spent the last six years of her life actively involved in scores of rescues and over 70 adoptions, Raeesa Jodha explains why over-breeding is a major cause of concern. Several families prefer male dogs and often breed in their own homes, selling puppies that come from multiple litters over a three-year period. She shows us a picture of Julian, a big pug with the scowl and personality of an annoyed old man. “We found his story on a post online and searched him out. He was a breeder-discard with terrible skin so much so that he had traces of moss growing on his underbelly. He looked like he had never had a bath and his nails were so long that they had grown under his paw. We asked around and got to know that he was tied to a cupboard for most of his life and used basically for breeding. He was a biter initially and extremely wary of humans,” she explains. We shared this story with Dawn William, the general manager of Blue Cross, only to leave the man infuriated. Currently tending to close to 70 abandoned senior pedigree dogs across their campuses in the city, we see the war veteran tear up a little as he tells us the stories of the dogs at BCI. Families going on vacations, couples bringing home newborns, and families wanting to move cities for better prospects always find their pets to be their biggest roadblocks and leave them on the road or worse at kennels in the name of boarding. “Last month, a person drove here in an auto to leave two Daschunds outside the Blue Cross premises. The dogs refused to leave the auto and so the rickshaw threw both dogs out and sped away. The confused dogs ran to the road searching for the person causing a jam for a considerable amount of time there. A BMW also once drove up here and sped away after tossing an old Pomeranian out of the window. Rich or poor, we don’t know how to treat our animals,” he affirms. The problems are many but the solutions are quite simple. “We need to make registering of pets mandatory, either the corporation or the AWBI can take this up. Medical records should be maintained regularly and inspections must be done. If an animal dies, procure a death certificate. We need breeders to be registered and stringent checks on conditions. Kennels and boarding places need to have an on-ground vet at all times and have to have space and facility regulations. It’s a lot of work but it needs to be done,” insists Dawn. Srilakshmi, Dinesh and several others running shelter and foster facilitates mandatory sterilisations before adoptions of dogs young and old. Meanwhile, activists, vets and pet parents who have nursed senior dogs call for tolerance and patience when handling them. “Dogs don’t need trainers. Owners do. Your dog can adjust to your needs if you are patient enough to actually sit and see what to do. Go over and get yourself trained to handling your dog, not the other way around,” says Dawn in conclusion. Take the dog to a vet. There are some health conditions that may have triggered abandonment; get it completely checked, especially for contagious conditions. Approach them gently and respect the fact that they may be confused or scared. Don’t give your dog extra attention. Don’t make the dog entirely dependant on you. He/She is going to think of you as an attachment figure and idolise you and that’s will make it harder for him/her to adapt in your absence. Maintain a careful detachment while being considerate. Give the dog about two weeks and get a temperament testing done. It’s not done in shelters in India. That’s the best way to match a dog with the appropriate family. A dog that desires the space of a farm can’t be placed into a 1BHK apartment. Restart a vaccine dose for your rescue and get them sterilised. Home breeders have brought enough abandonment to the streets. Also, if you’re going to involve yourself actively with rescues, make sure to get yourself an annual shot of anti-rabies vaccines. TEACH : Senior dogs are often not picked at adoption centres because it’s believed that they cannot pick up new behaviour and cannot adjust to the ways of the new family. MAINTENANCE : Owing to their age, medical conditions and prospective costs, often put off prospective pet parents from choosing them.